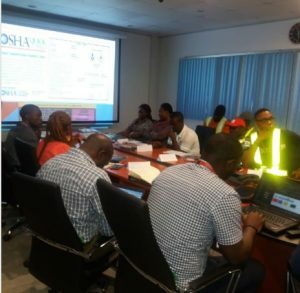 Coca Cola trained their key personnel from all over the federation on HAZMAT to ensure safe handling of hazardous materials. 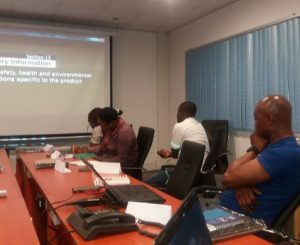 The bespoke training also addressed the specific operations in the Coca Cola system. 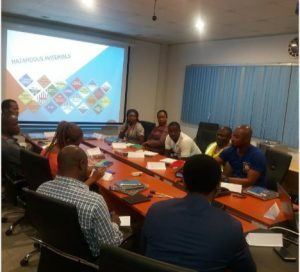 A hazardous material is any material or agent (biological, chemical, radiological, and/or physical), which has the potential or ability to cause harm to humans, animals, or the environment, either by itself or through interaction with other factors. 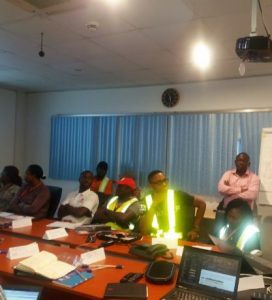 The modules treated include hazard identification, Safe Operating Procedure (SOP), GHS, NFPA/ HMIS, PPE, how to read an MSDS sheet and SHOC and how to locate the hazardous information, storage information, health hazard information etc on these documents, ERP to mention a few. 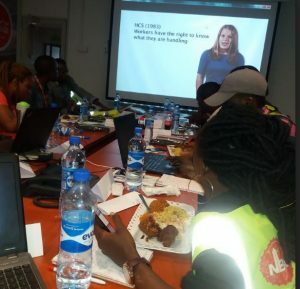 Relevant safety videos were seen, brainstorming, walkthrough/facility inspection, LFI, hands-on demonstration of spill kit use and syndicate sessions were also conducted to ensure retention after which all participants were quizzed. Your bespoke training, supplies and consultancy services are guaranteed with SAFETYWISE INTEGRATED SERVICES LTD. Call 08035025354 NOW!! !